Nearly one year ago, Ghaul’s army destroyed the Tower, took away our Light, and threatened Guardians in a way that they had never been threatened before. September will see the rise of a new villain, one that poses a far more intimate threat, but before that happens, Destiny 2 players will be revisiting their most vulnerable moments when the Vanguard was on the brink of collapse. Revealed earlier this month, Destiny 2’s first Moments of Triumphs will be paired with an event called Solstice of Heroes. The summer event goes live on July 31, where the citizens of the Last City will be celebrating the Guardians and their accomplishments. Players will don the broken armor that carried them through Destiny 2’s opening moments while playing through remixed missions from the original campaign. At the center of the Tower, the Statue of Heroes serves as a portal to a special event space in the Last City. It also tracks players’ Moments of Triumph progress and and grants players the broken armor that can be upgraded to “Resplendent” 400 Power armor, a foil to the 400 Power weapons given through the Prestige Raid Lairs. Players will be required to complete special objectives to level up the armor, both visually and in Power. Being special event gear, the 400 Power armor and weapons cannot be infused into any other items. 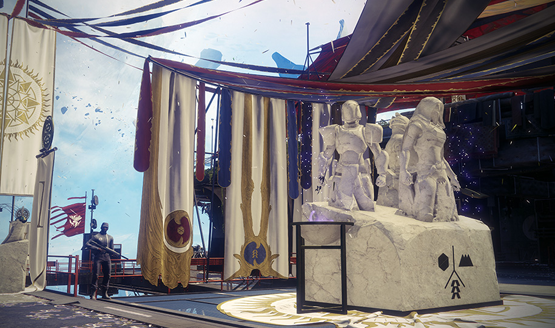 Scattered around the Tower, five special statues will grant players access to five Redux missions, special high-level remixed version of Destiny 2’s original campaign missions. New enemies and surprises await players who take these missions on, so even those well versed in Destiny 2 will find fresh content to consume and challenges to face. The Moments of Triumph for this year are tied into the Solstice of Heroes event, with special bounties that will track completion and grant rewards from the Statue of Heroes. While many of these Triumphs were revealed earlier this month, there are still some mystery Triumphs that will be unveiled when the event fully goes live on July 31. During the Solstice of Heroes, any level up will reward players with a Solstice Engram (in addition to their usual Bright Engram). 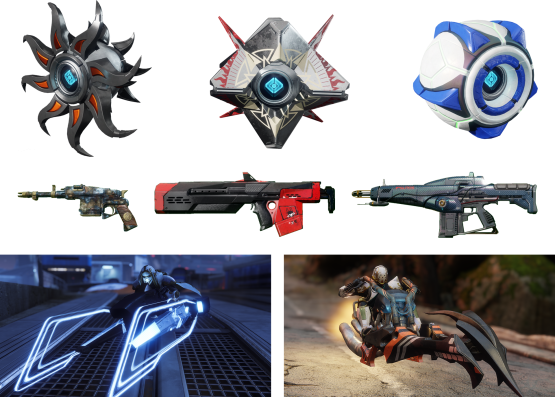 These special event engrams contain exclusive event rewards such as new Sparrows, Ghost shells, Exotic weapon ornaments, and emotes. This engrams will also reward special “armor glows” that can be applied to the event armor, glowing brightest when used in conjunction with the same subclass type on the armor. These are not consumables, instead unlocking permanently on the armor like ornaments. For more insights on the Destiny 2 Solstice of Heroes event and today’s Update 1.2.3, you can watch Bungie’s developer insights video at the top of the page. In more Destiny 2 news, Nathan Fillion revealed that he won’t be voicing Cayde-6 in the Forsaken expansion due to a scheduling conflict. The Raid Lead at Bungie may have also inadvertently spoiled the final Raid boss of Forsaken with a pretty big hint on Twitter. Are you eager for the Destiny 2 Solstice of Heroes event? 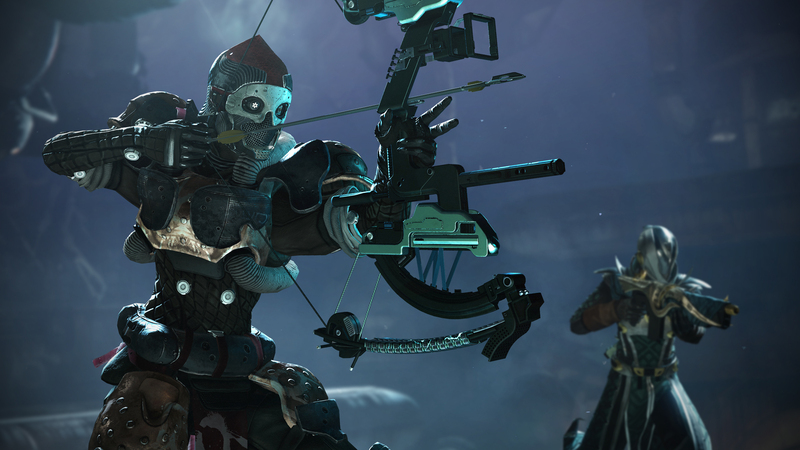 How many Moments of Triumph do you already have completed? Share your greatest Destiny 2 moments with everyone in the comments below.